Planned by Orange Blossom Special Events, Kate + Paul’s whimsical and vintage reception is a day we’ll never forget. 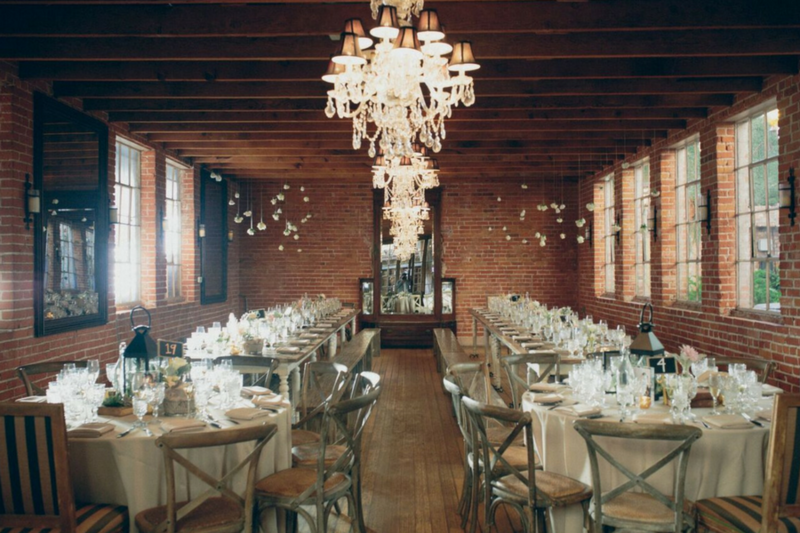 With the white and blush details throughout the space, our historic venue’s rustic details were the perfect pairing for Kate + Paul’s vintage and whimsical reception. Guests were seated at long wooden tables with gorgeous blush napkins and crystal glasses. Throughout the wooden table were geometric glass containers were filled with white roses and succulents, antique family photos and vintage books. Gorgeous flowers designed by Poppy and Blush hung from the ceiling above the guest’s tables creating a whimsical aura. The couple’s sweetheart table was draped in a cream colored linen that lightly dusted the floor. 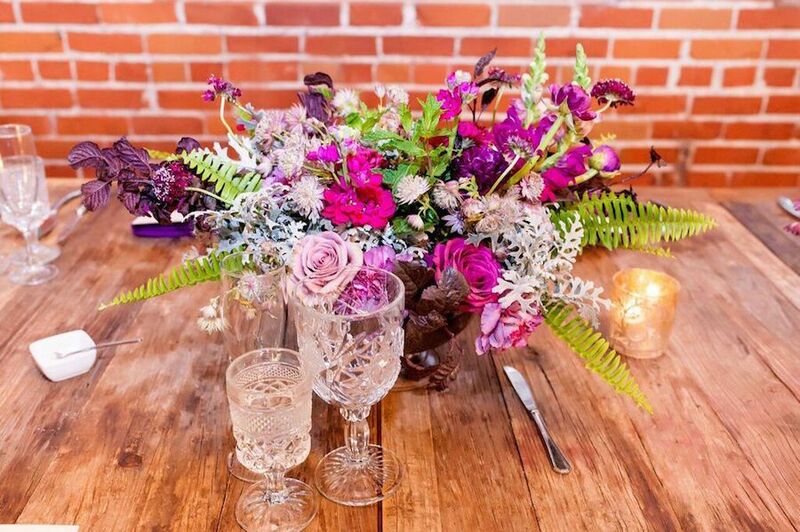 They enjoyed a decadent dinner by Tres LA Catering while seated in our hunter chairs with green stripes with a table filled with florals and gorgeous succulents. Kate + Paul shared their first dance on the courtyard with twinkling lights hanging above them while surrounded by the love of their family and friends. Guests enjoyed a delicious array of desserts including pancakes, macarons and chocolate chip cookies all from Scoops Ice Cream. Guests celebrated the couple by dancing to the hits played by DJ Mike-E all night long. Thank you, Lukas and Suzy VanDyke for capturing the beautiful moments between Kate + Paul on their special day!